If you landed on this page it is because something is drawing you to come on a yoga retreat. Since 2012, Joanna has served hundreds of individuals who all come on retreat for a variety of reasons: recovering from a stressful event, grieving the loss of a loved one, celebration of a special birthday, time with a parent, child or sibling, time to reflect and practice self-care, adventure, or simply a wish to immerse oneself in the practice of yoga and meditation. Whatever it is that calls you to come on retreat, you’ll find it in one of Joanna’s offerings. Each retreat is unique, although we do return to certain special locations every year. You’ll find here listed everything from one-day retreats locally in Leavenworth, to weekend retreats in the Pacific Northwest - and every year at least one special week-long retreat to a beautiful and restful location. Occasionally, Joanna also offers an adventure retreat which includes hiking, kayaking or exploring a unique and intriguing part of the world. Always, constant in every retreat is meditation and yoga for all levels, abilities and experience levels. As a testament to their experience, over two-thirds of retreat participants return for another retreat… and for a lucky few, some return year after year! Read more under testimonials. Where would you like to go on a retreat? Joanna is always open to ideas. Have a group of friends who want to go on retreat together? Joanna is available for hire to come to your location and provide daily yoga and meditation to make your time more meaningful. Contact Joanna today to explore what might be possible. All weekend and week-long retreats include lodging, three meals and yoga, unless otherwise specified. Airfare and transportation are not included, except with week-long residential retreats for which shuttles to and from the airport are often included. Carpooling is often an option for weekend retreats. Payment plans can be arranged for all retreats. Come to a retreat where you can absorb a range of yoga teaching that empowers you to decide what style is best for you. Soak in an outdoor hot tub while enjoying all the sights that the San Juan Islands have to offer. Practice meditation and yoga in one of the most beautiful places in the PNW. 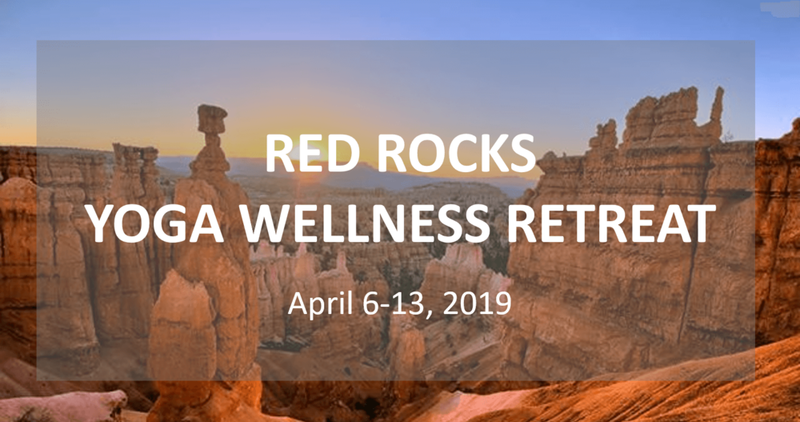 Joining Joanna for this fifth annual retreat is Liz Ryen, Personal Trainer and Sam Switzer, caterer and cooking instructor. Take a break from your busy life and slow down at Red Mountain Resort in St. George, Utah. Amazing resort amenities and geological wonders are waiting for you in this national haven. Come experience a remote forest sanctuary of timeless natural beauty on 154 acres surrounded by national forest. Disconnect from all digital distractions. Joanna joins forces with Ada Riley, Feldenkrais Practitioner, for a weekend of meditation, somatic movement and yoga. Take time out of your daily life to rest and retreat in the quaint mountain town of Roslyn. Experience yoga and meditation each morning and afternoon, plenty of free time to take a hike in the nearby forest, sit by the fire with a good book or explore Roslyn, and delicious, nutritious food. Escape the damp, cold early spring and head south for a week on the beautiful Baja Peninsula! Prana del Mar is a unique luxury retreat center located close to the artsy town of Todos Santos.